A simple easy chicken dish, cooked in a claypot. This dish can be cooked in a casserole pot if claypot is not available. According to the recipe, the chicken pieces is marinated and then roast in the oven for 15 minutes until the skin is golden. I have however, brown the chicken pieces over the stove. I cooked about 1 kg of chicken, enough for 6 persons as part of a meal with rice and other dishes. After the chicken pieces are browned, they are braised together with the mushrooms, chicken stock and braising sauce over low heat till the chicken is tender. This dish may be served directly from the claypot, or scooped into a serving bowl. Mix the marinade ingredients in a large bowl, add the chicken pieces, and turn to coat them with the marinade. Cover with plastic wrap and let the chicken marinate for 30 minutes or longer in the refrigerator. Preheat the oven to 475F. Arrange the chicken pieces, with the marinade, and the drained black mushrooms on cookie sheet lined with aluminium foil. Roast for 15 minutes, turning once, until the skin is golden. Remove. Transfer the browned chicken and mushrooms to a clay pot, Dutch oven, or a casserole with a lid. Add the Braising Sauce and heat until the liquid is boiling. Reduce the heat to medium, partially cover, and cook for 45 minutes, until the meat is very tender. Skim any fat from the surface. The sauce should be slightly thick. If it hasn't thickened sufficiently, heat until boiling, add a little cornstarch dissolved in water, and cook, stirring, until the sauce has a smooth coating consistency. Scoop the chicken and sauce onto a serving platter or serve from the pot. Accompany the dish with a vegetable and rice. Members can choose any of those cakes to bake, and my choice is Vanilla and Blood Orange Cake. I have however replaced blood orange with regular orange. The full recipe is baked in a 8" pan. I've made half a recipe and bake the cake in a 5" round cake pan. For such a tiny cake, the amount of butter is half a cup (which I thought is quite a lot! ), so I've used 100gm, wanted to use only 80gm but decided to reduce only 25gm from the half cup instead, and have reduced the sugar to 1/4 cup, taking into account that there is caramel at the top of the finished cake. The caramel is first made by melting sugar in a saucepan (for the caramel, I've used 1/4 cup instead of 1/3 cup) and stir until the sugar has completely melted to a caramel. Immediately pour the caramel into the cake pan and place a sliced orange in the centre. The batter is made by creaming sugar (I've used 1/4 cup), eggs and seeds from a vanilla pod, until light and fluffy, and doubled in volume, about 5 minutes. Fold in melted butter, orange zest, orange juice, mix to combine, and lastly the flour, in two batches. Pour batter into the prepared pan over the caramel and bake in a preheated oven. According to the recipe, this cake is baked in a low temperature at 325F for 30 minutes. I have however baked at 350F and it took 35 minutes until the cake is done baking. Invert the cake onto a plate so that the caramel with the orange is now the top. Let cool and serve. Cake is very moist, and soft. I am so glad that I have reduced the sugar, as this is quite sweet with the caramel. I thought that this cake could do with a little less butter. I like the orange slice and the bits of vanilla seeds throughout. My overall review for this cake, not great, but nice. It's Dorie's Cookies week at Tuesdays With Dorie (TWD). The selected bake is Breakfast Biscotti. I like eating biscotti. They are great for snacking anytime. Crispy, crunchy, and especially good with a cup of hot coffee or tea. I have made biscotti with sticky dough before, but Dorie's Breakfast Biscotti dough is easy to work with. The dough is soft but not sticky. The only change I've made, is to reduce the sugar from 150gm to 100gm. I have used my homemade granola using Dorie's recipe, Crispy Granola from Baking Chez Moi. The granola was so good, that I had to reserve a cup to make this biscotti, before they are all gone. The dough is divided into two, spaced them well apart on a parchment lined baking tray. They really spread quite a bit after baking. Cool them for about 20 minutes before slicing into 1/2-inch slices. I used a serrated knife and the baked dough fell apart. The outer crust was crispy after baking, so I left it overnight to cool down completely before the final baking. The next morning, I used a serrated knife again to slice the baked dough, and they still fall apart. I then switched to a regular sharp kitchen knife, and the slices are perfectly sliced without any bits falling off. A tray of sliced biscotti about to go into the oven for the final baking. These biscotti baked to a lovely golden brown. They are crispy, crunchy and delicious, but just a tad sweet for us even though I have reduced the sugar. The next time when I make this again, I will reduce maybe another 2 tablespoons of sugar. I like that they are not hard crispy, but with a light crispy crunch. A winner! I've enjoyed a few slices with a cup of black unsweetened coffee and it was good! Recipe for these cookies can be obtained from Dorie's website, here. To see what other bakers thought of these cookies, please visit the links at TWD. This week at I Heart Cooking Clubs (IHCC), it is our Monthly Featured Dish/Ingredient Challenge, and for this month it is Lemons! or any citrus. We may select any recipe that uses lemon or citrus from any of our past or present featured chefs. I've made Tessa Kiros's, Lemon Ice Cream, from her beautiful book "Falling Cloudberries". There are fifteen featured chefs at IHCC, and Tessa Kiros is easily in the top three of my favourite chefs. Tessa Kiros's Lemon Ice Cream recipe uses fresh sage leaves. I, however, have forgotten to buy sage leaves and I'm not about to make a trip to the supermarket again as it was already late in the evening. So I use fresh pandanus (screwpine) leaves, which I have a healthy bush growing at my backyard. Pandanus leaves are extremely fragrant and we use it a lot in sweet desserts and savoury dishes. I snipped the pandanus leaves to small pieces and boil together with the whipping cream, lemon zest and sugar. Once the mixture comes to a boil, and the sugar has completely dissolved, remove from heat, and leave to cool. The pandan leaves would fill your kitchen with it's wonderful fragrance. Once cooled, I remove the pandanus leaves with a pair of chopsticks which is rather easy and quick. I did not strain the mixture over a sieve as I want the lemon zest in the ice cream. Whisk in the lemon juice, the mixture will curdle and thicken a little, but keep whisking and it will come together, chill in the refrigerator overnight. The next morning, I churn the mixture in the ice cream machine. I did change a little of the steps in the recipe, making it a little easier and simpler for me. Refer to the recipe instructions (below) for the changes I've made (as above). Sugar is reduced to half and the sweetness was just right for us. This creamy Lemon Ice Cream is so yummy! The fragrance of the pandan and the lemony taste of the lemon zest and juice, blends perfectly together. If you have not tried using pandanus leaves in your dessert making, I urge you to try and get some, you will love it's heady fragrance aroma. ** I replaced the sage leaves with pandanus leaves (screwpine leaves). I used 2 long leaves, snipped to small pieces. Put the cream, lemon rind and sage (pandanus leaves snipped to small pieces) in a saucepan and bring slowly to the boil. Set aside to cool and infuse the lemon and sage (pandanus) flavours into the cream. Meanwhile, whisk the sugar with the lemon juice and 1 tablespoon of the cream mixture until the sugar dissolves. (I added the sugar to the cream, in the first step, allowing it to boil together). Add the remaining cream mixture and whisk well for a couple of minutes. Transfer to a bowl, cover and put in the freezer. (Remove the pandanus leaves, whisk in the lemon juice and chill the mixture overnight, covered, in the refrigerator). After an hour, remove the bowl from the freezer, give an energetic whisk with a hand whisk or electric mixer and return the bowl to the freeser. Whisk again after another couple of hours. When it is nearly firm, give one last whisk, transfer to a suitable freezing container with a lid and let it set in the freezer until it is firm. (I skipped these steps, and use the ice cream machine to churn the mixture the next morning). 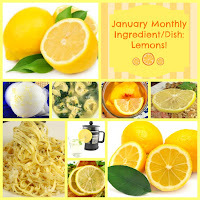 January Monthly Featured Dish/Ingredients Challenge : Lemons! These bready pinwheels are lovely with a cup of warm tea, for tea-time snack. According to Rachel Allen, "A smart way of using white yeast dough, pinwheels would make a luxurious snack". It is from her cookbook Rachel's Everyday Kitchen, one that I purchased almost two years ago and have not made any recipes from it, until now. Rachel has given the option to use either tapenade or pesto for the filling, and I have used Basil Pesto, following her recipe she has given in the book, but I made my pesto a little coarse instead of a smooth paste. You could however, use any of your favourite pesto. The bread is easy enough to make, it is a basic white bread dough with two risings. The dough is easy to work with. Best prepare the pesto before you start with the bread dough. The dough is rolled out, and the pesto is spread over the dough. Roll the dough up Swiss roll style, slice into pieces, place onto baking trays, and leave to prove until doubled in size. Sprinkle some grated cheese over the pieces and bake until golden brown. These Pesto Pinwheels are lovely when eaten warm, minutes from the oven. The crumbs of the bread is soft with cripsy crust. Very tasty with the pesto and cheese. I had two while they are still warm, minutes after baking, with a cup of warm tea in the afternoon. I rewarm the leftovers in the oven for a few minutes for breakfast the next morning. In a measuring jug, mix the warm water with the sugar and yeast and leave to stand in a warm place for 5 minutes or until the mixture is creamy. If using fast-action yeast, there is no need to let the mixture stand. Sift the flour and salt into a large bowl, or the bowl of an electric food mixer fitted with a dough hook, and make a well in the centre. Add the olive oil to the yeast mixture, then pour into the well and mix together by hand or using the food mixer until the dough has come together and is slightly wet and sticky (add a little more water if it seems too dry). Knead for about 10 minutes or until the dough is smooth and springy to the touch. (If kneading in the electric food mixer, 5 minutes is usually long enough). Grease the bowl with olive oil and put the dough back into it, then cover the top tightly with cling film and place somewhere warm to rise until doubled in size. This may take up to 2 or even (on a cold day) 3 hours. Meanwhile, grease a large baking sheet with olive oil and mix together the two grated cheeses in a bowl. When the dough has doubled in size, transfer to a work surface dusted in flour. Sprinkle some flour over the dough and roll it out into a rectangle measuring roughly 20x25cm (8x10in). Spread the tapenade or pesto over the dough to cover it, then roll up like a Swiss roll, starting at one of the longer edges. Cut the rolled-up dough into 20 even-sized slices, then place, cut side up, on the prepared baking sheet, well spaced apart, and sprinkle each one with the cheese. Set aside and leave to prove for 20-30 minutes or until doubled in size. Meanwhile, preheat the oven to 200C (400F), Gas Mark 6. When the pinwheels have doubled in size, place in the oven and bake for 10-15 minutes or until cooked through and golden brown. To give you more time, you can mix cold instead of warm water with the yeast and leave the dough in the fridge to double in size. It will take 16-24 hours for the first rising (when the dough is in the bowl) and about 6 hours for the second rising/proving (when the dough is shaped). Once made, the pinwheels will keep in an airtight container for up to four days. They are best if reheated in a moderate oven (preheated to 180C/350F/Gas mark 4) for about 5 minutes. The quantities in this recipe can easily be multiplied. Place the basil, Parmesan cheese, pine nuts and garlic in a food processor and whiz together. With the machine still running, add the olive oil and blend to a smooth paste. Add salt to taste, then pour into a sterilized jar and top with enough olive oil to cover the pesto by 1cm (1/2 inch) before sealing the jar shut. Store in the fridge. I made these fritters for our afternoon tea snack during the weekend. This recipe is taken from the book by Parragon Publication, A Year Full of Recipes, one of the latest addition to my bookshelf. 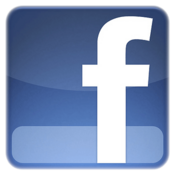 There are 365 recipes to try! Out of that many, this is the first one I pick. I've used frozen corn kernels, thawed before using, and Chinese chives from my garden pot. The batter is simple and easy to put together. Once the batter is done, I test-fried one fritter and thought it needed some flavour. I then added some onion powder, and what a difference it made! These fritters are quite delicious. The onion powder adds a delicious flavour. We dipped these fritters with some chilli sauce. They are also good without any dipping sauce, as they are quite tasty. These Corn & Chive Fritters makes a delightful snack to enjoy with the family. Sift together the flour and baking powder into a mixing bowl and season with salt and pepper. Add the milk, egg yolks, and butter and beat to form a smooth batter. Stir in the corn kernels and chives. Put the egg whites into a separate grease-free bowl and beat until they hold soft peaks. Fold lightly and evenly into the batter. Pour a shallow depth of oil into a large skillet and heat until hot. Drop large spoonfuls of batter into the skillet and cook for 3-4 minutes, turning once, until golden brown. Cook in batches, draining the fritters on paper towels and keeping them warm, until you have made about 16 fritters. Serve hot, sprinkled with chives. The selected recipe from Baking Chez Moi at Tuesdays With Dorie (TWD) is Granola Cake. According to Dorie, homemade granola or store-bought is fine, just make sure that do not use granola with lot of spices or with hard pieces of dried fruit. I made my own using Dorie's Crunchy Granola recipe. The granola is a winner! I have reduced the sugar, using 60gm for the brown sugar, and only 20gm for the granulated sugar, taking into account, of the sweetened coconut, and the sweet chocolate chips. The batter is very thick and the cake does not rise that much during baking as the leavening powder used is just minimal. Bake until the top is brown and sugar-crackly. The cooled cake was cut into 16 squares, and they look very much like a blondie, or, bar and slices kind of bakes, rather than a cake. These are quite yummy. Moist, soft and a little crumbly with the distinctive taste of the granola, bits of the chocolate chips in every bite. I'm glad I reduced the sugar as these are quite sweet. The next time I would use less choc chips and add some moist plump raisins or dried cranberries, to cut back on some of the sweetness. Stop by TWD to see what the other bakers thought of this bake. 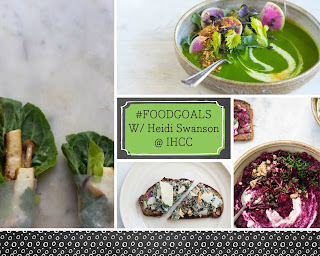 This week's theme at I Heart Cooking Clubs (IHCC) is "Foodgoals!". Having missed a few weeks of cooking with IHCC, I hope to get back on track as the new year starts. For this week, I've made Heidi Swanson's, Ribolitta, a thick Tuscan vegetable stew, in line with my foodgoals for the year, more healthy grains, beans and vegetables, and less of meat. I've used dried haricot beans which I've soaked overnight and boil till tender the next morning before using them for the recipe. And some fresh kale leaves from my garden pot. For the stock, I've used Rapunzel vegetable stock bouillon, and later read that it is one of Heidi's favourite vegetable stock to use. I have some homemade leftover bread in the freezer, and it is a great way of using up the leftovers, just a small amount is needed to to thicken the stew. To serve the stew, topped with some chopped oily black olives. I did not have oily black olives, so I have used black olives soaked in brine. And have omitted the drizzling of olive oil. I find that this is quite delicious. The recipe makes quite a lot, so I've made only about a third of the recipe. This stew freezes well. I thawed the frozen leftover, reheat over low heat with a few tablespoons of warm water, and it was just as good. In your largest thick-bottomed pot over medium heat combine the olive oil, celery, garlic, carrot and red onion. Cook for 10-15 minutes sweating the vegetables, but avoid any browing. Stir in the tomatoes and red pepper flakes, and simmer for another 10 minutes or so, long enough for the tomatoes to thicken up a bit. Stir in the cavolo nero, 3 cups of the beans, and 8 cups/2 liters water (I use vegetable stock). Bring to a boil, reduce the heat, and simmer until the greens are tender, about 15 minutes. In the meantime, mash or puree the remaining beans with a generous splash of water - until smooth. Tear the bread into bite-sized chunks. Stir both the beans and bread into the soup. Simmer, stirring occasionally, until the bread breaks down and the soup thickens, 20-30 minutes. Stir in the salt, taste and add more if needed. Stir in the lemon zest. Serve immediately, or cool and refrigerate overnight. Serve reheated, or "ribolitta" meaning reboiled, the next day ladled into bowls. Finish each serving with a drizzle of olive oil and some chopped olives. Cook The Book Fridays welcomes the new year with a simple, easy and delicious recipe from My Paris Kitchen by David Lebovitz, Fresh Herb Omelet (Omelette Aux Fines Herbes). For the fresh herbs, I've used Chinese chives from my garden pot. There's eggs, a little milk, salt and pepper, with the finely chopped herbs beaten together. Some cheese, of which I've used Cheddar is sprinkled over the centre in a line while the egg is setting in the skillet. Fold the omelet in half and slide onto a plate to serve. I like my omelet to be a little brown on the outside, so I have cooked it a little longer till the bottom is lightly crisp brown while the top is just set to my liking. The best part, is the oozy cheesy part! I shared this omelet with my son, we had it sandwiched between two slices of white breads. Makes a very nice meal for hungry tummy! To see what other fresh herbs that was used for this omelet, stop by Cook The Book Fridays and visit those links. Happy New Year everyone! 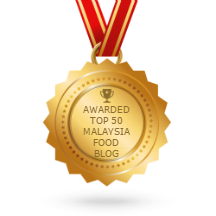 My first post in 2017 with World Peace Cookies, one of the selected recipe for this month at Tuesdays With Dorie, an online group of bloggers currently baking from Dorie's Cookies. I've made these cookies twice. First time was a couple of months ago, as this recipe can also be found in another of Dorie's book, Baking From My Home To Yours, These cookies are super yummy and easy to make. There's chunks of chocolate pieces in the chocolaty dough. So a real treat for chocolate lovers. You need to plan the dough in advance as it needs to be refrigerated for a few hours, before they are sliced and bake. These are the best chocolate cookies! The good thing is, the dough can be frozen for two months, so you might want to make a double batch and stash some in the freezer. It can be baked without defrosting the dough, great isn't it!